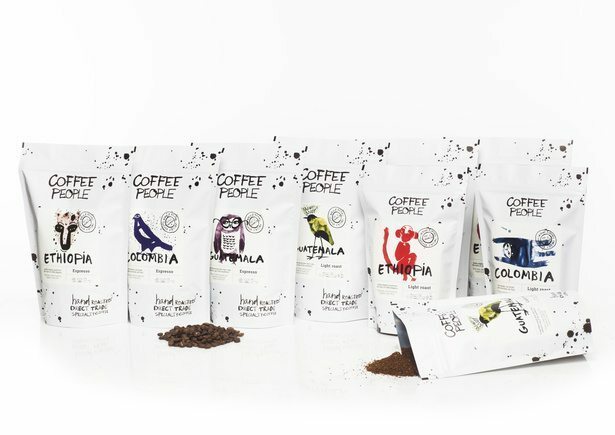 Coffee People™ is young Estonian coffee brand (previously known as Gourmet Coffee) in racy expansion in Baltics and Scandinavia. 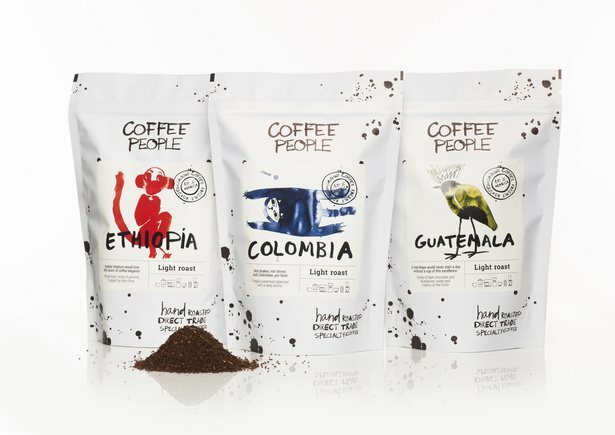 Coffee People™ handles coffee production from selection of exceptional excellent farms where the crop is carefully harvested and handpicked till professional roasting and retailing. 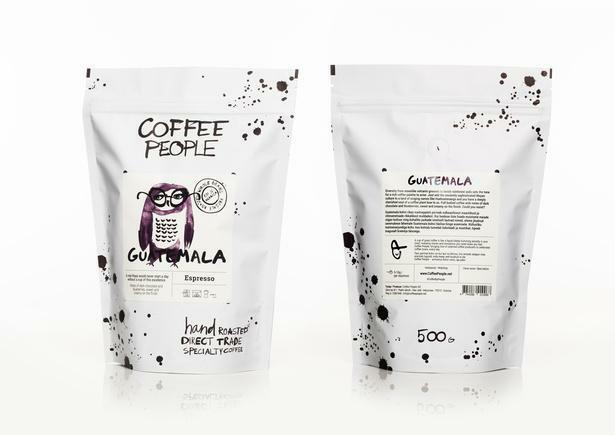 The graphic design of packages has big amount of handwork as well. 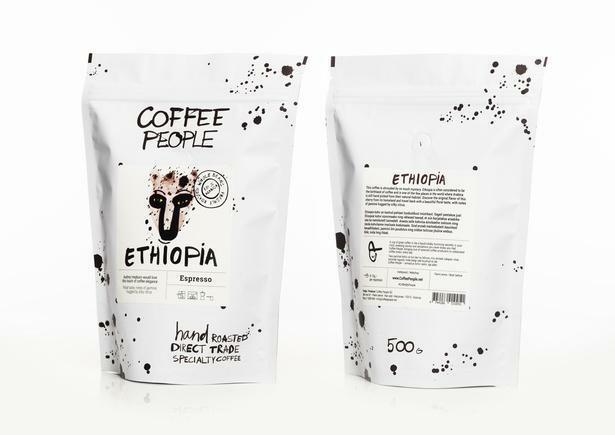 The texts at the packages, “dots” and pictures are painted on white paper using black or colored touch. 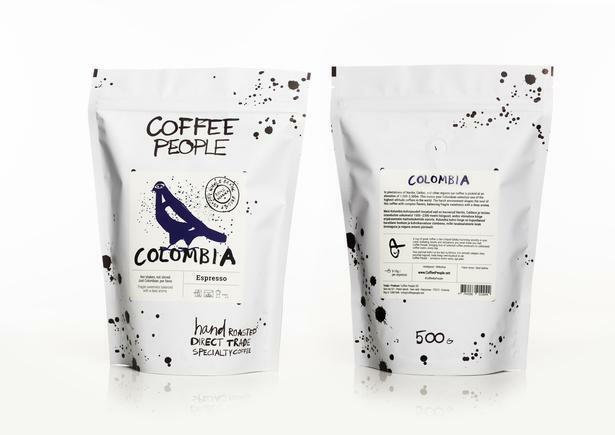 Illustrations on labels add color to black-and-white graphics. 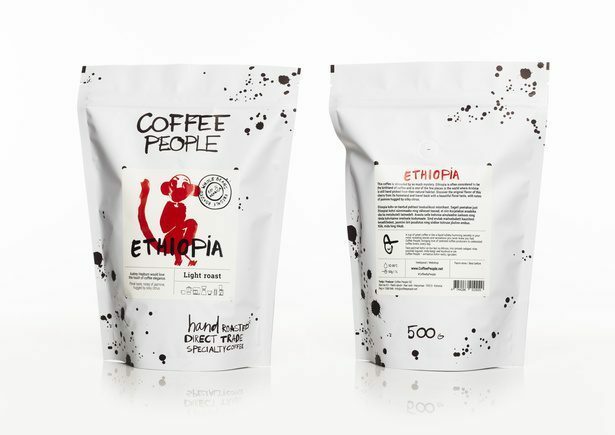 Illustrations help visually differentiate three different countries of origin and two different roasts.